Do you have an old book laying around that you probably won't read again? If you do, get it out because we'll find some good ways to use it today! Even if you don't have a book on hand, you could get one pretty cheap at a yard sale or thrift store. I had an old Reader's Digest novel sitting around that I used to make the mobile in Baby B's room. 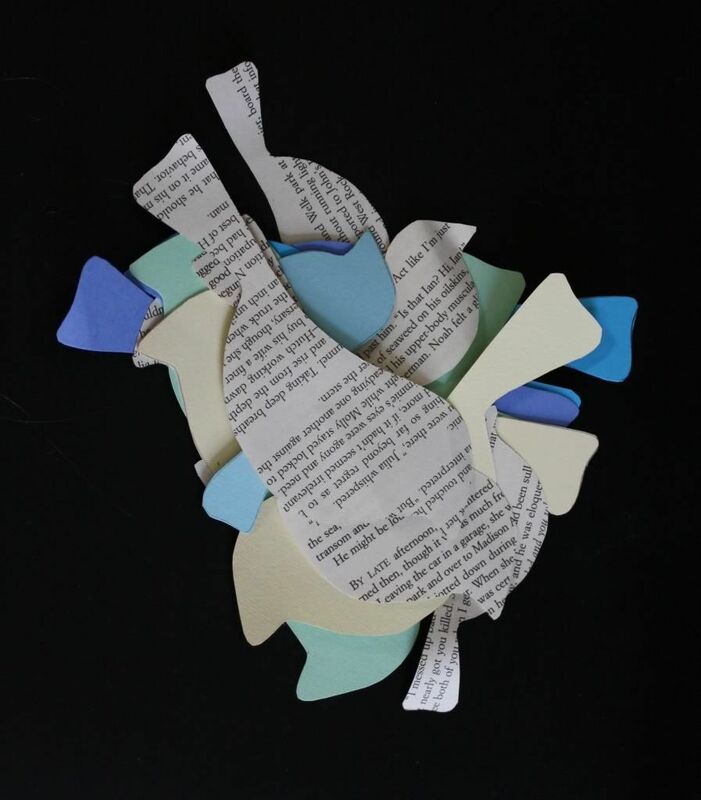 I used a combination of my mom's Cricut and good old fashioned scissors to cut out bird silhouettes from the book pages and colored card stock. 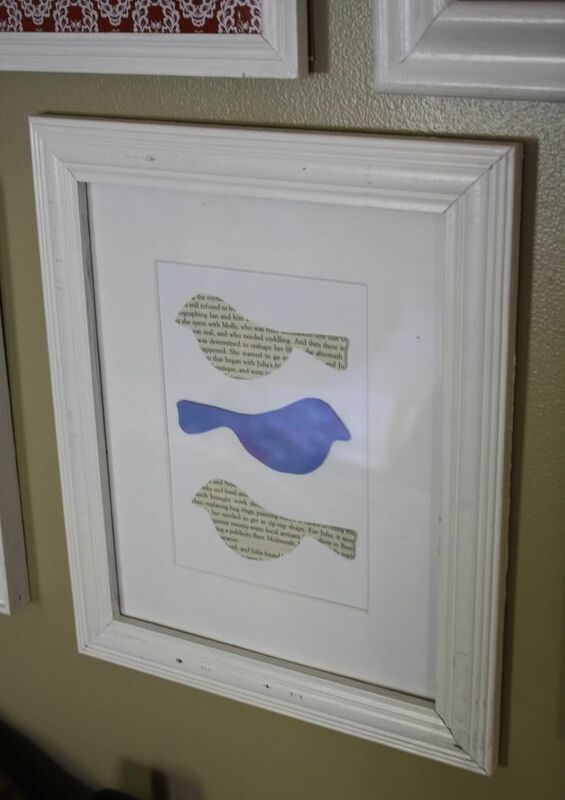 I sandwiched the two kinds of birds together to get two sided birds to hang for the mobile. When I finished the mobile I had this little pile of leftover birdies. I threw them in a box of craft supplies where they sat until I thought of a way to use them, which finally happened yesterday. I've been working on (very) slowly filling in my picture frame gallery wall. I actually only had three frames filled until yesterday, when I made it four. 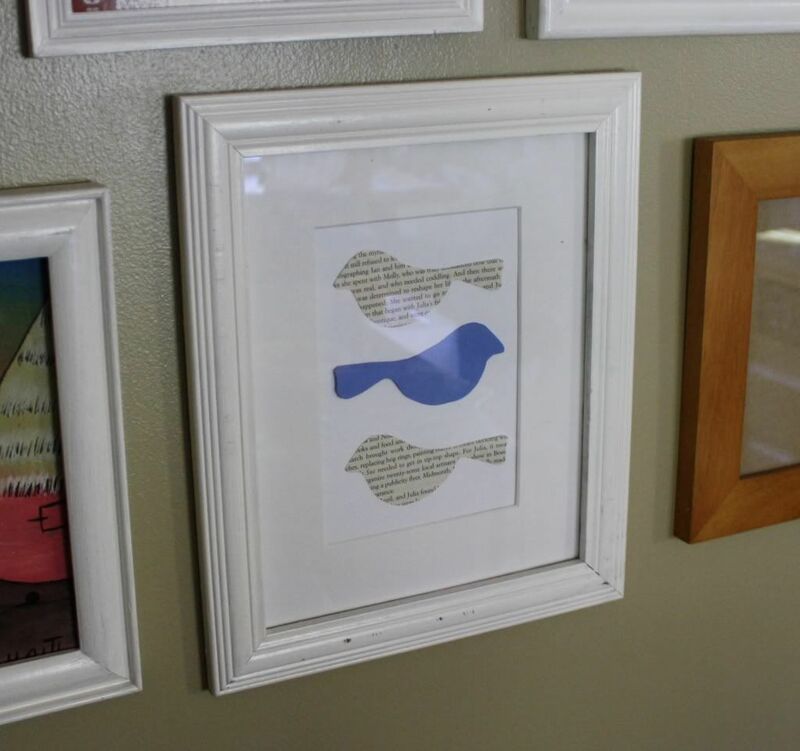 I just popped a trio of birdies in a frame, added a mat, and put it up on the wall. A very simple project, but I think it turned out really cute. And I'm glad I'll have a reminder of Baby B's mobile someday when he outgrows it. Because I'm sentimental like that. You can also use music sheets for cheap decorating projects, like when I used my husbands old viola books to make over a light. 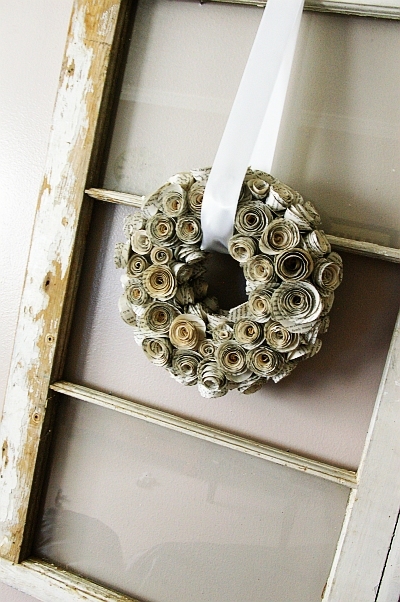 How about a book page wreath? 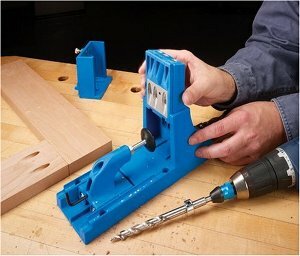 Or using them to line drawers. 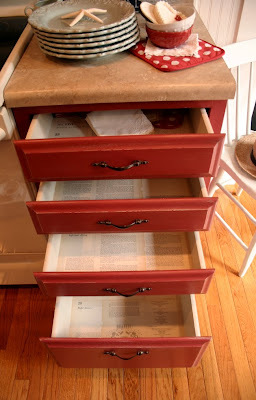 Or on the outside of drawers. Or a pumpkin, perfect for fall. Or why not cover a whole wall? This is such a cool idea!! I might have to steal some of these and get cheap books from consignment. Loving your series!!! And this post is especially helpful because I have so many books. Thanks... have a great day!